The new sensational game, Pokemon Go encourages Pokemon fans to hit the streets and catch fictional creatures. Pokemon hasn't received this much attention since their release of trading cards in the early 2000's. Since gaming and exercise have come together, gym masters will need to fuel while attempting to find a Squirtle or Charzar. 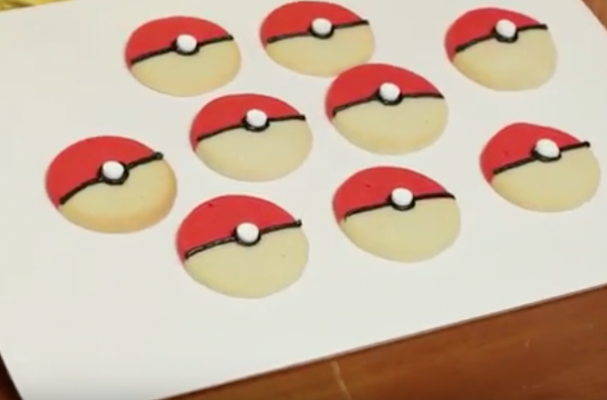 These Pokeball cookies are the perfect treat for enthusiasts. You can never go wrong when pairing a homemade treat and childhood memory.